Concept Glazing ltd. is a reputable glazing contractor specializing in custom glass shower enclosures, railings, mirrors, backsplashes and much more. Shower Door Company of Canada has been providing specialized glass products to designers, contractors and discriminating homeowners for over 50 years. Our product selection includes: standard shower doors and enclosures from leading manufacturers; custom fabricated frameless shower enclosures with the latest hardware and tempered glass options. The company also supplies and installs mirror walls, glass entry systems, glass staircases, & stainless steel, glass, and metal railing systems. 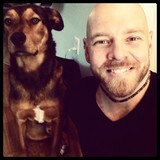 Our family has been specializing in custom glass solutions for longer than cell phones have existed. We are experts in creating the right solution customized for you at the most economical price point possible. From contractors to property development companies to home decoration institutes to regular homeowners, we love to work with Canadians from all walks of life. It would be an honour and pleasure to be able to work with you on your next home project. 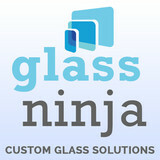 We look forward to showing you the best custom glass solution for your unique needs. From glass shower doors to glass railings, to storefront glass - our expert team can do it all. And because of our direct-from-manufacturer connections, we are able to offer you the highest quality glass solutions at rates that most competitors cannot touch. From regular glass doors down to glass that can literally go from transparent to opaque with the flick of a switch, we offer every high-quality glass solution that is on the market. If we do not carry it, then it’s probably not worth your time. Give us a call or send us an email, and one of our friendly ninjas will get back to you at superhuman speeds. Have a beautiful day. Glassworks Studio is a stained glass, leaded glass and architectural studio operating in Toronto Canada. Working with home owners, designers and architects creating amazing one-of-a-kind functional art glass pieces. No more water spots! That's the ProGuard Canada difference when it comes to your shower glass. We are your on-site applicators of Diamon-Fusion International coatings, the best easy-clean coatings for glass, warrantied for life! Once applied, your shower glass will require cleaning 90% less and cleaning is extremely easy when required. Our service also works with glass railing systems, granite countertops, and mirrors. Brighten and open your space with affordable custom-designed glass from Frank’s Glass & Mirror in Hamilton! Whether you’re looking for a custom shower enclosure to fit a tight or oversized bathroom, sophisticated mirror designs or energy-efficient sealed window units to fit your existing window frames, visit Frank's Glass & Mirror for custom glass pieces that combine beautiful form and practical function. While we specialize in custom shower enclosures, we can also create and install: • Mirrored walls for your gym or dance studio • Backsplashes in mirror glass or back-painted glass • Custom shelves for wall units, bars and bathrooms • Custom cut glass to fit tabletops, desks and dressers. Glass is hand polished on site to perfection. *All of our glass and mirror is purchased from Canadian companies, and we only offer the best quality to all of our customers. Customer Service Is Our Top Priority Frank’s Glass & Mirror has served Hamilton residents since 1988. Our 25 years of success are a reflection of our dedication to high quality products, competitive pricing, great service and timely completion. Our satisfaction in creating a custom design is the complete satisfaction of our clients. Looking for inspiration? Browse our gallery and see what our custom glass designs can do for you! Or, come visit our showroom and talk to the glass experts at Frank's Glass & Mirror! We specialize in supply and installation of such glass products as: custom shower enclosures, glass railings, partitions. We're happy to provide our clients with fast and reliable service, professional installation, and affordable price. A 3M certified dealer of window films for solar reduction, safety & security and decorative who takes customer service to the next level! Our company is family owned and operated with almost 30 years of experience, now into the second generation. We specialize in custom glass and mirror work, both Residential and Commercial/Industrial. From emergency glass replacements to beautifully customized solutions for your home, we do it all. We believe in long lasting relationships and excellent workmanship. That means using high quality products, not skipping steps to save costs and guarantees on all of our work. Our goal has always been to maintain an excellent reputation so our customers will be proud to tell their friends and family about us. Stop by our showroom for a glance and/or to chat about your ideas. For over three decades, Vast Interiors has created custom glass and mirror works to meet the needs of our residential and commercial customers throughout North America. Our designers create custom glass and mirror piece for exercise rooms, kitchens, and bathrooms, as well as for the common areas of corporate offices and store fronts and much more. We work with architects, interior designers, general contractors and others to create unique works of art perfect for any space indoors or out. Welcome to All Purpose Glass & Mirror website. Our company has been serving Halton Region since 1974 in the same location in Milton. We pride our selves in providing fast and courteous service for all your glass needs. Please call or come in for a estimate. We look forward to hearing from you. ARM Glass and Mirror Corp.
Family-owned Arm Glass & Mirror Corp. serves the Greater Toronto Area with sales and installation of elegant glass products. We closely monitor glass industry, and offer our customers the latest glass technologies available in the market today. We work only with high quality materials. Straight from the glass shows we bring to you the latest innovations that will accommodate your needs and styles. Shower Enclosures, Railings, Storefronts & Partitions, Windows, Mirrors, Furniture Glass Tops. At Arm Glass & Mirror Corp., we manufacture a diverse range of products, including custom shower doors, partitions, railings, closet doors, shelves and so much more. No matter what your glass and mirror needs, exceptional craftsmanship and dedicated service are our promise to you. Please see our website for detailed information about our products, or contact us for a free consultation/estimate. 24/7 emergency service is available. What can a local Brockton Village glass company help me with? If it’s a major home glass repair or replacement, the Brockton Village glass company should work directly with your insurance company to help bring down costs for you, if applicable. Find Brockton Village glass companies on Houzz. Narrow your search in the Professionals section of the website to local glass, mirror and shower door services in Brockton Village, ON and read reviews and ratings to find one that fits your needs.